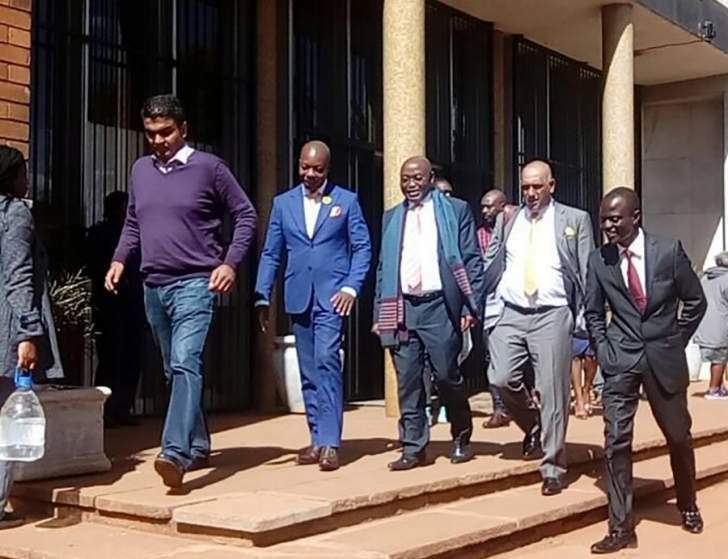 Former Highfield Member of Parliament Psychology Maziwisa and Former ZBC News anchor Oscar Pambuka who were facing two counts of fraud have been found guilty and sentenced to 6 years and 5 months, but will serve 2 years and 6 months each after the rest of the term was conditionally suspended. The duo duped Zimbabwe Power Company (ZPC) of over $12 000 in Public Relation deal. Maziwisa and Pambuka were believed to have been fraudulently awarded a tender to do public relations work for Zesa Holdings by former Energy minister Samuel Undenge at a time the power utility had its own functional public relations department. The tender was awarded to their firm Fruitful Communications (Pvt) Ltd. The pair is among several high-profile people, among them former Cabinet ministers, who have been nabbed in the last few months by the anti-graft body as President Emmerson Mnangagwa's administration intensifies its anti-corruption drive.